The Global Education Conference founding sponsor is iEARN (International Education and Resource Network). iEARN is a non-profit organization made up of over 30,000 schools and youth organizations in more than 130 countries. iEARN empowers teachers and young people to work together online using the Internet and other new communications technologies. Over 2,000,000 students each day are engaged in collaborative project work worldwide. The 2012 Global Education Conference will include, as a special parallel event, the iEARN International Conference and Youth Summit. GETideas is an open, online global community for 21st-century education leaders exists to foster Global Education Transformation–the “GET” in GETideas.org–via virtual collaboration and international dialogue, including the sharing of best practices and resources. Founded in 1999, BrainPOP creates animated, curricular content that engages students, supports educators, and bolsters achievement. Our award-winning online educational resources include BrainPOP Jr. (K-3),BrainPOP, BrainPOP Español, and, for English language learners, BrainPOP ESL. BrainPOP is also home to GameUp, a new, free educational games portal for the classroom, and sponsor of the Gaming Strand for the conference. The AFT represents 1.5 million pre-K through 12th-grade teachers; paraprofessionals and other school-related personnel; higher education faculty and professional staff; federal, state and local government employees; nurses and healthcare workers; and early childhood educators. The American Federation of Teachers is advancing a vision of solution-driven unionism that connects those we represent with the people they serve and the communities where they work and live. We are fostering innovative projects such as Share My Lesson—an online resource that provides educators a place to collaborate and share their best practices—to address many of the pressing challenges confronting schools and communities in the United States. As one of the world’s largest technology companies with operations in more than 170 countries, HP is helping to solve environmental and social challenges by uniting the power of people and technology. The HP Sustainability & Social Innovation team focuses on improving lives and businesses every day by focusing on the environment, health, education, and community. By bringing together the expertise of our more than 300,000 HP employees in collaboration with our partners, we make technology work for people in powerful ways that create a positive impact on the world. For 12 years, the Intel® Teach Program has helped more than 10 million teachers around the world integrate technology into classrooms and promote student-centered approaches. Intel wants to support and continue the learning. Join Teachers Engage, our global online community of educators dedicated to transforming K–12 classrooms (free technology frequently given). The International Baccalaureate® (IB) is a non-profit educational foundation, motivated by its mission, focused on the student. Our four programmes for students aged 3 to 19 help develop the intellectual, personal, emotional and social skills to live, learn and work in a rapidly globalizing world. Founded in 1968, we currently work with 3,474 schools in 144 countries to develop and offer four challenging programmes to over 1,056,000 students aged 3 to 19 years. Non-profit organizations and schools can apply to be conference partners by visiting our partner group and filling out the required form. Non-profit and for profit entities interested in supporting our efforts and promoting their brands through sponsorship should contact Steve Hargadon at steve@hargadon.com for details. More details here for companies looking to present their commercial product or service. Anatolia College is a private, non-profit educational institution in Thessaloniki, Greece. Anatolia College is an integrated educational community that features: An 550-pupil elementary school, a Greek high school that provides extensive instruction in English, an International Baccalaureate world school of 150 students and the NEASC-accredited college – The American College of Thessaloniki (ACT), offering Bachelor's degrees and an MBA program. Technology Teachers Association (APROTEC) The APROTEC was established on 19.04.2011 under the Deposit Receipt: # 657 ,109 JORT onset date 10 September 2011 under number 2011P00830APSF1. our goals : - exchange of information between teachers and technical structures with relationship. - Promote the study, promote understanding and generate scientific problem solving and teaching in the field on, local, regional, national and international. - Develop the individual qualities of teachers technical awareness and acceptance of civic responsibility, individual participation in the training program, participation in the preparation and implementation of programs in local, regional and national development aimed at staff and community. ASDAN Education is a UK organization offering curriculum programmes and skills-based learning to young people in Britain and around the Globe. As a not-for-profit company, our ambition is to raise achievement and empower learners with skills for learning, skills for employment, skills for life. We offer dynamic, activity-based learning for students from age 7 upwards with both certification and qualification outcomes. Working to make all students globally competent and ready for the 21st century. San Miguel Primary School is located in the metropolitan town of Armilla, in the heart of the Vega of Granada, about three kilometers from Granada’s city center, (Andalusia-South Spain). Armilla has got natural surroundings, including the Sierra Nevada and the Genil River. Our school centre teaches Preschool Education and Primary School Education, with 507 students and approximately 31 teachers. Most of our centre is equipped with digitalboards and some grades have got laptops, boosting ICT development within the Educative Community. The school disposes of early morning service for our students, a canteen and afterschool extracurricular activities. The number of immigrant residents in the province of Granada has been increasing since 2009, especially from China, Morocco, Romany and Latin America, which is directly reflected in the schools of Armilla and in which our school attends to, offering educational integration programs. Including students with educative needs, such as learning problems, is a priority for us. Due to this fact, San Miguel is one of the few centers which provide a special autism classroom, in which a specific program attends to students with such characteristics. Our school has been taking part in different european projects with eTwinning and Comenius; however our teachers started to work with other schools around the world in collaborative projects and, nowadays, we are interested in innovation in our curriculum. El Centro Universitario Haller tiene el firme compromiso en educar a la juventud para así buscar siempre un equilibrio en las necesidades sociales y que este no sea sólo de nuestro país, sino de los diferentes paises del mundo, así como buscar la verdad y el bien común, fundando siempre su Filosofía Institucional y Modelo Educativo. CTAUN, composed of educators and NGO representatives, organizes conferences at the United Nations and other locations on topics such as human rights, literacy, peace, sustainability, poverty and development, showcasing the UN's work. Much of what the United Nations does seems far removed from the world in which the average student lives; connections between local and global affairs have been neither clear nor compelling. The challenge of translating the United Nations’ resources, accomplishments and potentials into the curricula of schools lies with our educators. CTAUN exists to engage educators and support them through a variety of programs, including annual conferences. El Congreso Virtual Mundial de e-Learning es el primero en su tipo. No solo marcará una tendencia sino también se convertirá en un referente diario para todos aquellos profesionales y educandos ligados e interesados en y a la Educación a distancia. Country Day Schools are comprised of two separate entities: Country Day Montessori School (Montessori program for 2 years old through the 3rd grade) and Country Day World School (preparatory curriculum covering the 4th through the 8th grades). Country Day offers an academic environment that meets the needs of all its students, where the curriculum is a rigorous and comprehensive program adapted to the ability level of each student. In particular, the Middle School learning community resembles that of a small liberal arts college atmosphere. Students are respected as important participants by the faculty as they research issues, debate ideas and present their work. The County Library “George Baritiu” Brasov is well regarded as an important education, information and community resource for people of all ages, active in bringing new technologies to its patrons, offering dozens of electronic resources, computer equipment and training for adults and children, assistive reading devices and online services. Creative Commons is a nonprofit organization that enables the sharing and use of creativity and knowledge through free legal tools. Our free, easy-to-use copyright licenses provide a simple, standardized way to give the public permission to share and use your creative work — on conditions of your choice. CC licenses let you easily change your copyright terms from the default of “all rights reserved” to “some rights reserved.” Creative Commons licenses are not an alternative to copyright. They work alongside copyright and enable you to modify your copyright terms to best suit your needs. The Association is a young and vibrant organization set up under the Laws of Ghana as an Civil Organisation and is an Educational Honor Society poised to wholly promote amongst Ghanaian youth (students) democratic process such as debate, public speaking, oratory, moot courts and literary arts in order to create the platform for ‘‘consolidating the voice of the youth through intellectual freedom. Our mission is to work with inner city youth through a number of community collaborations, to improve their academic performance in mathematics, science and technology, in order to ensure higher levels of Access, Achievement and Success in the most prestigious colleges and universities throughout our country. Our Vision: To see dramatic improvements in the number of underrepresented college students who pursue careers in science and technology. We want to build transformative images in the mindset of our youth, that promote and encourage a tactical shift beyond being mere technology consumers, to being technology creators, facilitators, and shareholders. The East Asia Regional Council of Schools is an organization of 130 member schools in East Asia. These schools have a total of more than 96,306 pre-K to 12th grade students. EARCOS also has 148 associate members— textbook and software publishers and distributors, universities, financial planners, architectural firms, insurance companies, youth organizations, etc— and over 31 individual members. Membership in EARCOS is open to elementary and secondary schools in East Asia which offer an educational program using English as the primary language of instruction, and to other organizations, institutions, and individuals interested in the objectives and purposes of the Council. EdSurge is the fastest growing news source for the latest on education-technology entrepreneurship. We aim to bridge the gap between educators and developers of edtech products. We publish two weekly newsletters on the latest in education technology. On our site you can read independent commentaries on the latest edtech products. Join in - we need you and your expertise. We're all about learning. Education Beyond Borders is a non-profit, non-denominational NGO devoted to closing the global education divide through teacher professional development and community education. Our organization focuses on the building of teacher leaders as the key to quality education for all. We facilitate the movement for educators and advocates for education to do our part in supporting our colleagues and their students in disadvantaged regions here at home and around the world. The Flat Classroom® is based on the constructivist principle of a multi-modal learning environment that is student-centered and a level playing field for teacher to student and student to teacher interaction. The Flat Classroom® is an award winning series of projects, including the Flat Classroom® Project, and it is a pedagogical approach to teaching and learning using Web 2.0 tools and embedding global collaboration into the curriculum. Flat Classroom® was created by Vicki Davis (USA) and Julie Lindsay (now in Australia) in 2006. Since then 1000's of students and 100's of teachers across 30+ countries have connected and collaborated in Web 2.0 supported learning environments. In addition, Flat Classroom® Conference and Live Events Inc. has been established to provide opportunities for all learners (students and teachers) to come together in a flattened learning mode, for a project-based workshop/conference. GameTrain Learning, Inc. is a 501(c)(3) nonprofit organization whose mission is to promote game-based learning in education. Our programs include: professional development workshops for teachers on various game-based learning topics, curriculum and lesson design featuring game-based learning pedagogy, and educational game design, including design of educational alternate reality games and online/mobile educational games. We also conduct research in the area of game-based learning. GenerationOn is the global youth service movement igniting the power of all kids to make their mark on the world. As Points of Light’s youth service enterprise, generationOn inspires, equips and mobilizes youth to take action through generationOn service clubs, schools, youth organizations, campaigns and youth leadership initiatives. It also provides tools and resources to youth, families and educators to help kids change the world and themselves through service. To learn more about how to get involved, visit www.generationon.org. The Georgia Distance Learning Association (GADLA)is a nonprofit association formed to promote the development and application of distance learning for education and training. GADLA is a state chapter of the United States Distance Learning Association. 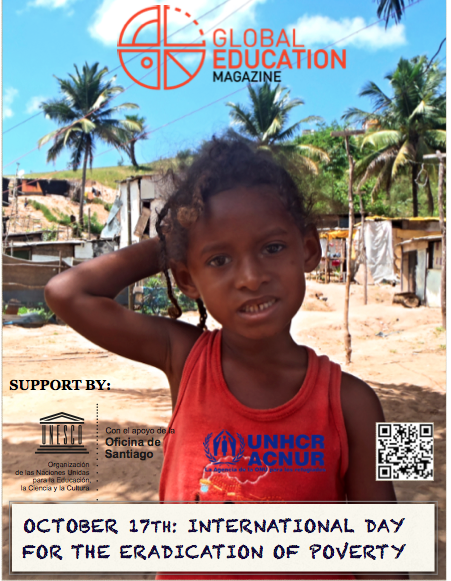 Global Education Magazine is an educational and digital magazine with international character that seeks to promote ideas & experiences from formal, non formal and informal contexts, in order to achieve the Millennium Development Goals of the United Nations. Global Education Magazine aims to disseminate creative, innovative and transversal educational experiences and ideas from the formal ambit, non formal and informal, to break with the existing positivist and technocratic paradigms of the past that reduce our students in passive citizens and a-critical consumers, because we have as educational horizon, the freedom and the emancipation of human beings in any case and corner of the world. The Global Oneness Project produces and distributes films, media, and educational materials that challenge us to rethink our relationship to the world. Our education program offers tool to become deeply engaged with the issues and ideas raised in our film and media content. Through our materials, we provide effective ways for educators to introduce global themes, environmental issues, and multi-cultural awareness into their established course curricula. 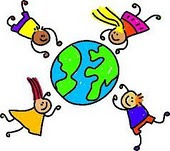 The Highland Park Independent School District’s Global Connections Program promotes the development of globally competent students prepared to live and lead in a diverse and interconnected world. Homely Planet is an internet radio network producing and developing programmes in Northern Ireland and with global partners to assist cultural relations through education & exchange initiatives. Homely Planet's vision is to show how we as a race of people representing different cultures & traditions contribute in a more positive way to the economic and social status of society when we respect & have a better understanding of each others' diversity. www.homelyplanet.org. Homely Planet is managed by the organization, Beyond Skin. Located in Bogota, Colombia and serving all of the Americas, the Institute for Leadership and Excellence provides services in the areas of Leadership, Social Responsibility, Organizational and Business Excellence, Strategic Planning, Performance Improvement, Quality Management and Training/Development. Ubicado en Bogota, Colombia y sirviendo todas las Américas, el Instituto de Liderazgo y Excelencia proporcionan servicios en las áreas de Liderazgo, Responsabilidad Social, Excelencia Organizativo y de Negocio, la Planificación Estratégica, Mejora de Desempeño, Gestión de Calidad e Instrucción/Desarrollo. Instituto Superior San Bartolomé is a leading institution in training Teachers of English and Translators in Rosario, Argentina. The INTENT team is a group of European educators who have received funding from the EU for a project which aims to raise greater awareness among students, educators and decision makers of the value of online intercultural exchange in foreign language education at university level. IREX is an international nonprofit organization providing thought leadership and innovative programs to promote positive lasting change globally. The Teachers for Global Classrooms (TGC) Program provides a professional development opportunity for middle and high school teachers from the United States to participate in a program aimed at globalizing teaching and learning in their classrooms. TGC is funded by the Bureau of Educational and Cultural Affairs at the U.S. Department of State and implemented by IREX. The IVECA Center for International Virtual Schooling is a non-profit organization with headquarters in the United States. The Center helps teachers easily join IVECA, which integrates international interaction into their school curricula seamlessly. The framework of the curriculum integration is based on a proven doctoral study at the University of Virginia on developing intercultural competence. Intercultural Virtual Exchange of Classroom Activities (IVECA) is an online classroom exchange program in which K-12 school students in different countries share what they study and everyday life through a Web platform. The communication and collaboration can occur asynchronously through text messages, images, and video clips as well as synchronously through the video-conferencing. It aims to produce inter-culturally competent 21st century global citizens who are capable of understanding and reconciling cultural diversity, utilizing knowledge and information, and working collaboratively with people in different cultures using different languages. JOY STANDARD SCHOOLS is a Ghanaian private school owned by Mr. Stephen Donkor. It was established in 1992. We have a population of about 2000 and students ages are from 3 to 18. We have two campuses and three departments. It is a mixed school with clever students. We always dream to be part of global partners so we are happy to find one. Early September, 2012 we will celebrate our 20th anniversary and also graduates our BECE students. We are friedly and very sociable so therefore invite all of you to witness this 20th anniversary. Our academy is Cisco networking academy offering Cisco IT Essential certificate assisting the most advantageous members of the community who can't make it to Universities and big institutions. Leguruki High School owned by Tanzania Parents Asociation since 1991. The school lokated in Arusha Region the Headquater of East Africa in Tanzani Republic.We are receiving students from various part of the country with diferents divercities. We are enrollig boys and girls mostlily boardig with few day students. we have 240 students, 11 teacher, 9 none teaching staffs. Our land is 11 accers, 7 rooms for classes,1 library, 1 laboratory, 1 administration block, 3 toilets, 3 domitories 3 teacher's houses, and 1 kitchen. The Liberia Education Project believes education as the key to unlock the potentials of our young people, is in short supply in Liberia due to 14 years of civil war, especially for those disadvantaged and underprivileged young boys and girls in the towns and villages. Therefore, we organize ourselves to provide quality and affordable education to the needy and forgotten children in the villages and street corners of Liberia. 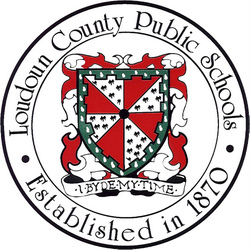 Loudoun County Public Schools is a school district that promotes collaboration and implements it in its schools. Starting with the 2009-2010 school year, LCPS established a new initiative, The Power of Everyone, through which students, teachers, classrooms and schools find collaboration opportunities at the national and international level. We are thrilled to be working with students and professionals from around the world, and are looking forward to contribute to the Global Education Conference! Megaconference Jr. is an international program designed to give students in K-20 schools around the world the opportunity to communicate, collaborate and contribute to each other's learning in real time, using advanced multi-point video conferencing technology. Vj teams and their interactive partners develop and share activities focused on both academic and cultural issues. The teams collaborate with geographically diverse peers on authentic learning activities, thus building international cultural awareness. Megaconference Jr. is hosted by volunteers from around the world and produced by Chester County Intermediate Unit, MAGPI at the University of Pennsylvania, North Dakota State University, The Ohio State University, and Internet2. Our mission is to equip every primary and elementary teacher to give children their first fluent foreign language. Our resources use Esperanto because it is six times more learner-friendly than the next best choice and gives access to several dozen hugely diverse cultures, setting children up to be successful life-long language-learners and active global citizens. NaKaBarKaDa. Is an abbreviation of “Nagkahiusang Katilingbanong Barug sa mga Kabatan-onan sa Dabaw” or a Visayan word “KABARKADA”, which literally means “KASAMAHAN, KAIBIGAN, KAGRUPO”. A group of young people from different aspects of life living in the communities in Davao City for our every effort should be exerted to promote youth welfare and enhance their opportunities for useful and progressive individual’s traits and aptitudes should be cultivated to the outmost insofar as they do not conflict with the general welfare. Molding the character of the youth starts at home as member of the community. New Life Theological Seminary is a Tertiary level Theological Education Institution that trains men and women for Leadership role in church and society. O-MUN is the world's first fully online Model United Nation's program, a free program open to high school students anywhere in the world.Leveraging social media, collaborative online tools, and innovative uses of virtual classrooms, O-MUN is able to replicate traditional MUN activities, build global community, and provide meaningful leadership opportunities for youth around the world. O-MUN has recently launched its university level program, uniO-MUN, and a middle school program is in the works. O-MUN is working to democratize MUN by increasing this academic program's reach, advancing new levels of inclusiveness, and aggressively promoting social media best practices as an educational tool. The Inter-American Teacher Education Network (ITEN), an initiative of the Department of Human Development, Education and Culture of the Organization of American States (OAS). ITEN is a Professional Network of leaders in Education in the Americas who would like to share knowledge, experiences, research and good practices in the field of teacher education. Based on a strategy of collaboration among countries, ITEN provides a space for interaction to all teacher education stakeholders in the region. La Red Interamericana de Educación Docente (RIED)es una iniciativa del Departamento de Desarrollo Humano, Educación y Cultura de la Organización de los Estados Americanos. La RIED es una red de líderes en Educación de las Américas que quieren compartir conocimiento, experiencias, investigaciones y buenas prácticas en el campo de la educación docente. Basada en una estrategia de cooperación entre países, la RIED provee un espacio de interacción para todos los actores en educación docente en la región. Opportunities For Africa (OFA) is an Opportunities Aggregating Portal that seeks to connect Africans to the latest Opportunities such as Internships, Scholarships, Fellowships, Contests, Grants, Prizes, and Other Life Changing Opportunities and Resources. OFA was created with the aim of helping Africans achieve their potential by seizing the latest opportunities around the Globe. Primary Source is a 501(c)(3) non-profit organization that educates K-12 teachers about world histories, cultures, and global issues. Through our in-depth courses, teaching materials, and international study tours, we provide 2,500 educators each year with the knowledge and resources they need to prepare students to thrive in today's interconnected world. Our programs span the globe, covering the histories and cultures of Africa, Asia, Latin America, the Middle East, and the United States. Q.E.D. Foundation is an organization of adults and youth working together to create, connect and sustain student-centered learning communities. Our work is based on relationships and practices that first and foremost support students’ growth and learning while simultaneously improving the health of our communities and our society. Our mission is to create, inspire, cultivate, and sustain cultures of transformational learning where we are all learners, learning changes lives, learning needs to happen in different ways, and learning empowers us. Run This Way is a free project design to support nonviolent activities in elementary and high school across the world from September 21 (International Peace Day) including October 2 (International Nonviolence Day) to October 14. Run This Way are a series of races organizes by schools to support nonviolent educational program for news generations throughout the world and support peace conflict resolution practices. In 2011, 16,000 students participates in the programm from schools : in Canada, in Irland, in United States, in France, in Equator, in Argentina and Liberia. • Festival «We are the children of thy Ground, • Hikes; • Farewell to primer; • Subject of the decade; • Sports competitions, • The exhibition of works of students; creative works; the project activities; • Festive concerts; • Meetings with veterans of the great Patriotic war. School. 1 Hulubesti is located in Dâmbovita, Romania. We are a pre-school with an enrollment of 76 children. Our school takes in children 0-6 yrs. All children stay with their parents except 11 of them who are ophaned and stay in the home of the Director. At Springside Chestnut Hill Academy we educate students to be innovative leaders, breakthrough thinkers, and imaginative problem solvers. We challenge students to learn in powerful new ways, engage in active inquiry, hone skills of creative and analytic thinking, and celebrate the joy of discovery. Through a rigorous college-preparatory program grounded in project- and passion-based learning, we prepare our students for their future as active learners and responsible global citizens. As part of the Global Opportunties strand of our Center for Entrepreneurial Leadership, we have developed partnerships, projects, and programs with schools, organizations, and businesses from around the world. Springside Chestnut Hill Academy is an independent PK-12 school located in Philadelphia. St. Christopher’s School, founded in 1911, is a college preparatory school for boys (junior kindergarten through 12th grade) located in Richmond, Virginia, United States. St. Christoper's is committed to helping its students become global citizens and to recognize and learn from their connections with people all over the world. The Steve Sinnott Foundation promotes the United Nations Millennium Development Goals (MDGs) for Education which is to ensure Universal Primary Education and gender parity in education by 2015. 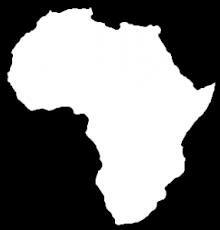 The Foundation is based in the UK and works with local NGO/charity partners as well as education unions worldwide. The Foundation also promotes the understanding of MDGs among schools and educators in the UK through its campaigns and establishes global school partnerships. Streamwood High School is is a suburban school with a student population of over 2500. Located 40 miles west of Chicago it serves a large and diverse community within the Fox River Valley area. TakingITGlobal's mission is to empower youth to understand and act on the world's greatest challenges. We use the power of online community to facilitate global education, social entrepreneurship, and civic engagement for millions of youth worldwide. Founded in 1999, our award-winning www.tigweb.org is the leading social network for global citizenship, bringing together over 400,000 members with more than 22,000 non-profit organizations across 13 languages. Our TIGed program serves over 3,200 schools in 136 countries with professional development, engaging lesson plans, and collaborative global projects. TICAL's mission is to help K-12 school and district leaders to provide informed and effective leadership in the use of technology to improve education. The California Department of Education (CDE) commissioned the Santa Cruz County Office of Education to develop a centralized repository of technology related resources and professional development opportunities for California's administrators. The Technology Information Center for Administrative Leadership (TICAL) and portical.org were born! The mission of Teen Tech Girls is to empower girls to imagine and achieve new futures for themselves in our technologically advancing world and inspire them to share their vision with the globally connected community. Day of the Tech Girl is one outlet for this mission. It is a collaborative project that highlights individuals, organizations, resources, actions, news and events from around the world that address gender equity issues in computing. The Excellence in Education Journal (EEJ) is an open access, refereed, online journal that promotes and disseminates international scholarly writing about excellent practices in all aspects of education. The goal is to share these excellent practices to benefit the education of children and adults worldwide. For these reasons, access to this journal and publication of manuscripts are free of charge. The Global Classroom Project is a grassroots global education community, providing the online spaces and global network for teachers and students to connect, share, learn, and collaborate on the world stage. Representing over 300 teachers from 35 countries, we host a wide range of global projects, and coordinate the #globalclassroom Twitter chats, the world's first global education chats. Thunderbird Online's facilitated online professional development programs are available to global business professionals around the world. These top-ranked programs are accessible, convenient and up-to-date with the most insightful global business content from the world's #1 ranked school in international business. The uniquely flexible online continuing education programs, combined with unmatched global business content, ensure you are fluent in the language of global business. Thunderbird Online's professional development programs provide you with a comprehensive education in core global business concepts to broaden your global mindset, sharpen global skills and enhance your marketability. La Unidad Educativa Leon Tolstoi tiene como misión contribuir de manera decisiva en la integracion del conocimiento en niños y jóvenes como el elemento formador basico de su calidad humana, académica y actualización científica y técnica, comprometidos de manera noble, respetuosa y honorable hacia el servicio de su comunidad. Wilson High School's Global Academy is designed to build global competencies while offering students integrated and relevant opportunities in the areas of diplomacy, politics, business, humanities, world languages, global trends, and cross-cultural interactions in an ever changing world. Youth Media Project's (YMP) mission is to teach the craft of digital storytelling and the art of listening for a socially responsible world. We achieve our mission by furthering community engagement, academic skill development and participatory learning. By partnering and training educators and non-profit youth providers, YMP provides teachers and students training in media literacy, creative expression, technology, production, reflective inquiry and public radio broadcasting. By amplifying youth voice and nurturing inter-generational and inter-cultural dialogue, students practice citizenry and leadership to create positive and caring communities.